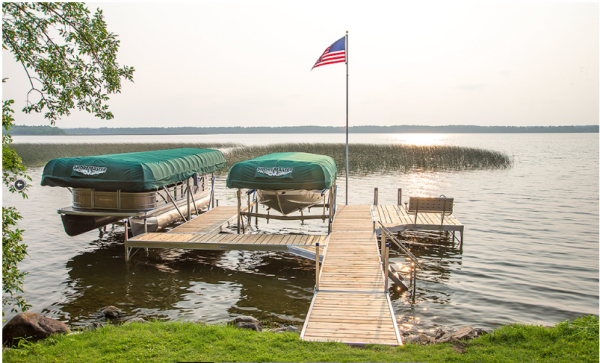 Twin Cities Dock and Lift is truly the premier provider of quality boat lifts, boat docks and service. Twin CIties Docks and Lifts will purchase used docks and lifts. From product selection to installation, we will assist you every step of the way in choosing a system that will serve your leisure needs. 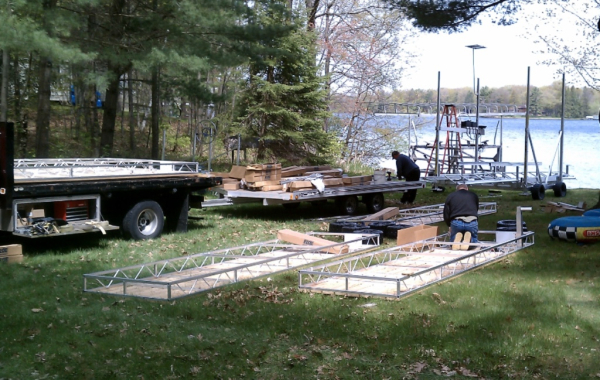 Leave it to us to install, remove, adjust, service and transports any dock or lift. We are trained to spot, handle and report all Aquatic Invasive Species. Along with inform the owners. Blake Dalbec grew up in the marine industry and is knowledgeable with many of the industry brands. He started installing and removing docks and lifts in 1998. After his family sold Forest Lake Motor Sports in 2012, he started his own dock and lift business. Our goal is to make you 100% satisfied whether your purchasing a system or getting a cable replaced.